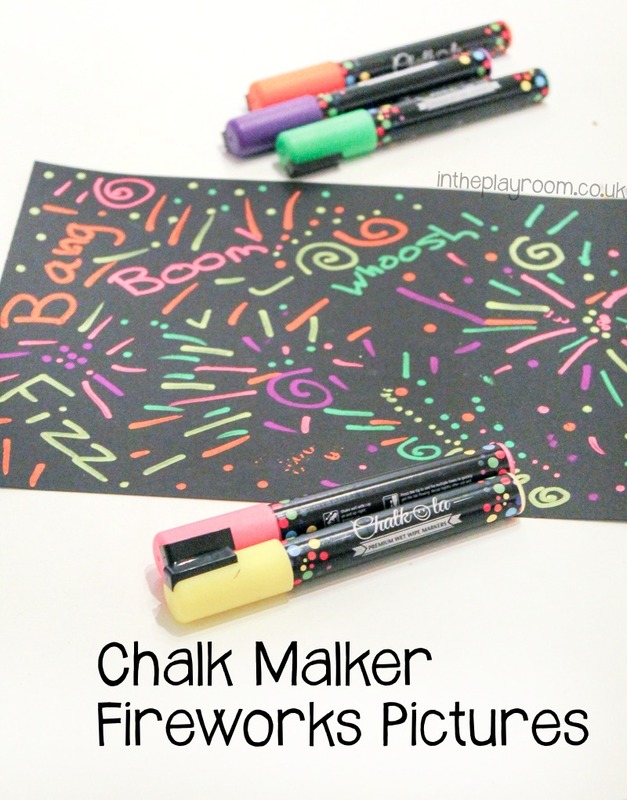 We’ve been trying out Chalkola Chalk markers to make some simple but effective Fireworks pictures. With Autumn here, that means my favourite festivity is around the corner – Fireworks night! 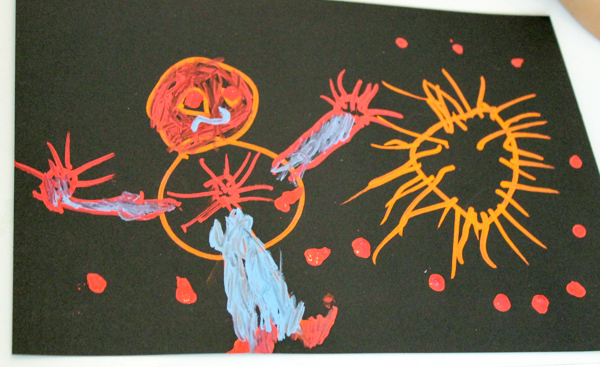 I love to mark the occasion by creating some fun Fireworks themed arts and crafts with the kids. 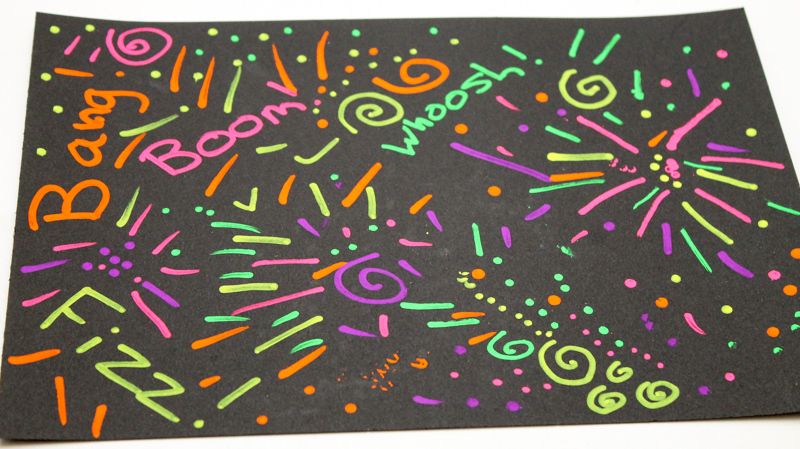 You can’t get much simpler than these chalk marker fireworks pictures on black card, so it’s an ideal craft for kids of all ages. 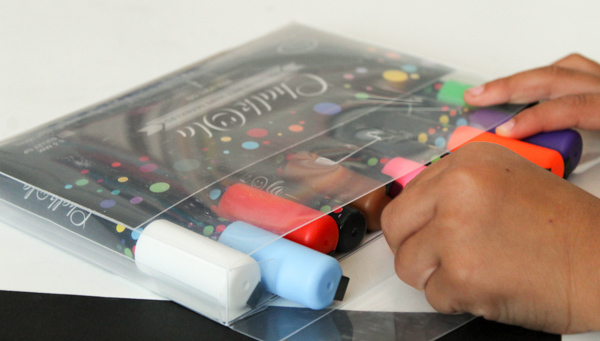 We were sent the Chalkola markers to try out, and they actual work on a lot of different surfaces too like glass, metal, chalk board or any other non porous surface but I love the contrast with the black paper and of course that’s a really easy child friendly material to work with. R and I also made some decorated glasses with these markers, which I’ll show you another day soon. Before using the markers, you need to shake each one and press down on the paper for a couple of minutes to get the ink to flow, the same way you need to do for glass pens. Once you’ve done that the first time, you won’t need to do it again. The kids and I had fun drawing our fireworks patterns, with swirls and squiggles, dots and lines. 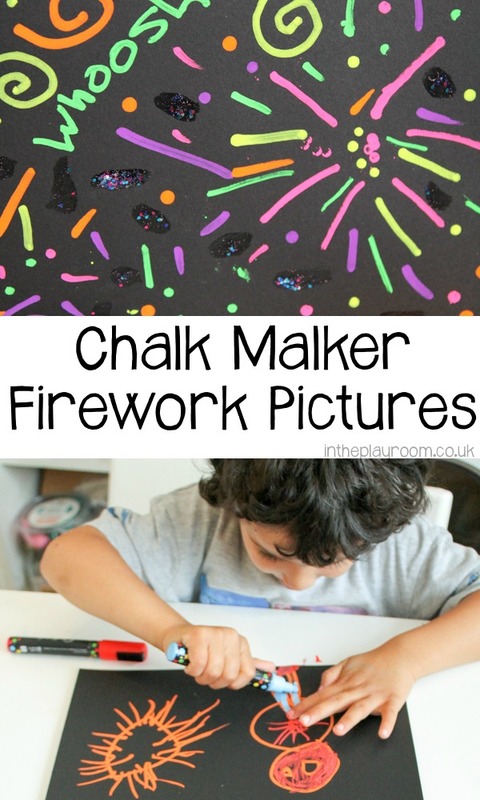 You can also write some fireworks themed words on the picture – get the kids thinking up suitable words, and talk about onomatopoeia, how these words sound just like the things they are describing. Why not draw some people watching the fireworks too? 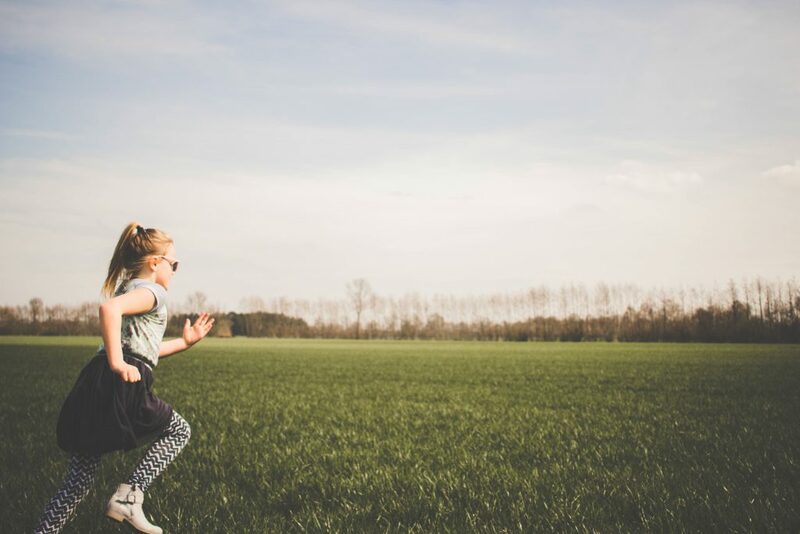 Whatever your kids want to add will add more personality to the picture. Using the markers is a fun open ended activity. 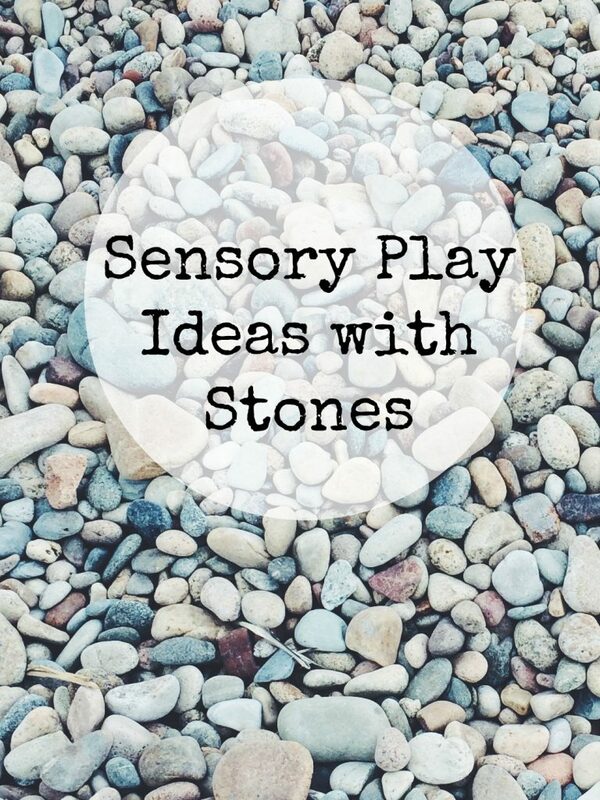 I can’t wait to see what designs my kids come up with next!